Proposals for union with King's. Engineering and the Nova Scotia Technical College. The Dalhousie Library. Problems of campus space. The history and purchase of Studley. The Flexner Report and the Medical College. President Forrest is succeeded by A.S. MacKenzie, 1911. 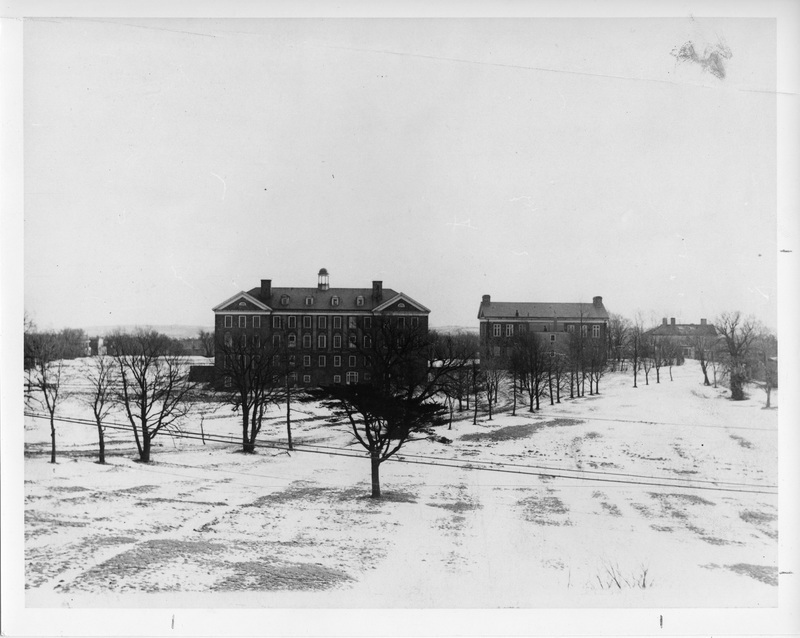 Designing the Studley campus, 1911-1913. Changes in Halifax by 1914. "There are some things a man can’t say to a man face to face. But now that [?] the ocean is between us I feel impelled to tell you how deeply I regret that this translation to Edinburgh must separate us - & how much your friendship meant to me in the years we have had together. I always expected you to leave me in Dalhousie... Don’t let the pessimists dishearten you. The day of better things must come. "MacGregor was forty-nine years old. Slight but well proportioned, with aquiline features, he radiated intense energy. His favourite position was astride a chair, his arms resting on the back. Despite a bad heart, he was a great walker; he and W.J. Alexander climbed Mount Washington one summer holiday in the later 1880s. He never spared himself, summer or winter. Sometimes his physics laboratory was so cold that he had to work in an overcoat. MacGregor was a radical in spirit, disliking rules and regulations almost on principle..."